is family run fun. Get away from the city streets and come out to Arkansas route 5 below Cabot for a festive day or a relaxing evening. Come early or stay late. We are open 9:00 am till 10 pm and have ample paved parking. 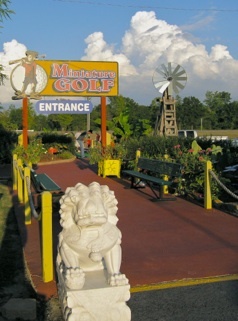 We have renovated both the Mini-golf course and driving range. The driving range and miniature golf course are well lit for year round enjoyment. Come out for a cool summer evening or warm winter’s day. We have a putting green, playground and pavilions for family or group gatherings.